Is staying younger really possible? Is it all just a desperate and ultimately futile attempt to hold back the years? Ageing chronologically is inevitable, but being “old” I believe is something we can most definitely do something about. Being older can be very positive. With age comes experience, wisdom, confidence and less agonising (hopefully) over the little stuff, caring less about what others think which is very liberating. Physically we can not only maintain good health but even improve it as we learn to appreciate it’s value more. Here, Shabir, pharmacist at Victoria Health, gives us some important information to optimise and understand our health as we age. Ageing is a multi-faceted process with numerous factors that can have an effect on it. The cells of our bodies are programmed to have a finite lifespan. Each time a cell divides, some genetic material is lost so that on average, forty to fifty cell divisions later, the cell is considered to be aged. Nutrition plays a vital role in the science of ageing. Some nutrients accelerate ageing whilst others help to protect against it. The theory of free radical damage and the role of antioxidant nutrients is well understood by most people. It states that the body produces reactive, unstable agents known as free radicals during normal metabolism, exposure to ultraviolet light or environmental toxins. Antioxidants neutralise these free radicals helping to protect the body against damage. The science of ageing and telomeres is now rapidly growing. Among the leading experts in this field is Dr Elizabeth Blackburn from the University of California who, along with her colleagues, was awarded the 2009 Nobel Prize in Physiology and Medicine “for the discovery of how chromosomes are protected by telomeres and the enzyme telomerase”. So what are telomeres and how do they affect ageing? 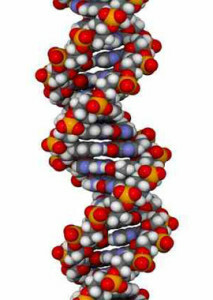 The simplest explanation of a telomere could be to say that a telomere is like a plastic tip on the end of a shoe-lace. As long as the plastic tip is in good condition, then the fabric of the shoe-lace remains intact. In the case of our chromosomes, which are our genetic material for cell division, the plastic shoe-lace end is the telomere. It is this telomere that protects the genetic material within our chromosomes, and ensures that the cells can divide and replicate perfectly. Imperfect replication leads to premature ageing, cell mutation and cell death. The telomeres also protect the ends of the chromosomes from getting genetic information from other chromosomes which potentially can lead to many diseases. Another factor associated with telomeres and ageing is the fact that each time a cell divides, the telomeres get a little bit shorter. Since our bodies cells are programmed to divide approximately 50 times during our lifetime, the length of a telomere can be a biomarker of ageing and can give vital information of how the cell, and hence the human being, is ageing. When the role of telomeres and ageing was discovered, research led to finding ways of keeping the telomeres long and healthy and we now know that certain nutrients play a huge role in protecting telomere length which affects how long a person lives. The mechanism by which nutrients have a positive effect on telomere length is by influencing the activity of telomerase, an enzyme that acts like a fixer working to fix the shortened length of the telomere. Whilst there are more than 10 nutrients that have a positive effect on preventing the shortening of telomeres, I have included ten of the most important nutrients based on deficiencies in adults or based on the science that we simply cannot ignore. If you have read my previous editorials, you will be familiar with the fact that I am great fan of this powerful antioxidant. In fact, when it comes to free radical scavenging, this remarkable antioxidant is 65 times more powerful than vitamin C, 54 times more powerful than beta-carotene and some 15 times more powerful than vitamin E. Even more astounding is its property to quench singlet oxygen molecules from damaging sunlight and here it is 6000 times greater than vitamin C and 500 times greater in activity than vitamin E. Astaxanthin is also a potent anti-inflammatory nutrient and since inflammation is one of the causal factors for shortened telomeres, astaxanthin may be of great value in protecting us against ageing. Another feature of astaxanthin is its ability to protect the whole cell from damage, both the water-soluble and the fat-soluble part. Most antioxidants play a role in either one but not both. CoEnzyme Q10 is required and used by every single cell within the body for numerous functions. Levels of Co-Enzyme Q1O decline with age and by the time we reach our forties, levels of this nutrient decline to roughly half what they were at when we are in our twenties. Known as ubiquinone, in order to benefit from this enzyme’s energizing and cell protective properties, ubiquinone is required to be converted into ubiquinol before being able to be used. This conversion is easy when you are young but as we age, the conversion of ubiquinone into ubiquinol is challenging. Low levels of CoEnzyme Q10 are thought to be one of the primary reasons for ageing because this enzyme fuels every single cell of the body and is vital for cell division. Additionally, CoEnzyme Q10 recycles other antioxidants including vitamins C and E into their active states helping to neutralize more free radicals and thus protect our DNA. This enzyme is vital for heart health and its depletion results in fatigue and muscle weakness and I recommend using Super Ubiquinol, the most active form of Q10. We all know that a diet high in processed foods is detrimental to the body, one of the reasons being that high sugar and chemical laden foods destroy the beneficial bacteria in the gut. Another problem is that artificial and chemical laden foods may affect the DNA within our bodies which can lead to cell mutation. Stress, antibiotics, artificial sweeteners and colours can all contribute to reducing the beneficial bacteria of your gut leading to premature ageing and illness. I believe the use of a good probiotic is vital and the one I recommend is Mega Probiotic ND by Food Science of Vermont. Containing eight strains, this non-dairy probiotic with a unique delivery system actually reaches the gut where the bacteria can colonise and perform their numerous roles. It is estimated that a large population of the adult population is deficient in omega 3 essential fatty acids. Experts believe that low omega 3 status is directly linked to accelerated ageing and attribute this to the fact that omega 3 fatty acids activate telomerase, the enzyme that helps to repair shortened telomeres. Although the research is very new, there is great justification in taking omega 3 fatty acids since they play a vital role in numerous processes carried out within our bodies. I recommend the use of krill oil over fish oil because it has a number of benefits. Fish oils can be oxidized and turn rancid which is why fish oils often have added vitamin E. Aside from possible contaminants in fish oils, one also requires to ingest larger amounts of fish oils on a daily basis as opposed to krill oil because krill oil is better utilized by the body including the cells. 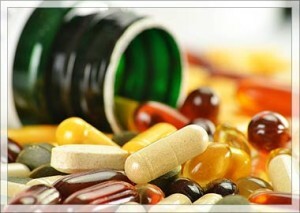 The supplement that I recommend is Power of Krill by LifeFlo. Research into vitamin K is growing and it has been shown to confer multiple benefits to our bodies. Whilst most people get sufficient vitamin K from their diets to maintain adequate blood clotting, they do not have enough to protect them against many serious health problems. In fact, it is estimated that vitamin K deficiency could actually be bigger than vitamin D which we have been warned about over the last few years. A study in 2004 demonstrated that people who consumed 45mcg of vitamin K2 on a daily basis lived longer than people getting 12mcg daily. In a subsequent study, carried out on 16,000 people over 10 years, researchers found that every 10mcg increase in vitamin K2 resulted in 9% fewer cardiac concerns. Studies also indicate that vitamin K2 may provide protection against cell mutation within the prostate gland. Food sources of vitamin K2 include fermented dairy products such as cream cheese and natto. Natto is not very palatable and most people would not consume large quantities of cream cheese on a daily basis which is why I recommend that you consider the use of Super K2 with Advanced K2 Complex by Life Extension. This supplement is not suitable for those on blood thinning medications. Magnesium is a key mineral required for the production of the energy molecule ATP in every single cell of our bodies. Without energy, our cells cannot divide efficiently and the genetic material may be compromised. Those of you who have read my previous editorial on magnesium, Magnesium – The Most Important Mineral we all Overlook, will already know that a staggering 70% of adults may be magnesium deficient. Aside from energy production and cell division, magnesium is a key mineral involved in over 300 biochemical reactions in our bodies, but specifically from this article’s point of view, magnesium deficiency makes our cells more susceptible to free radical damage. Ageing is very often associated with magnesium deficiency due to magnesium’s widespread role within our bodies. I normally recommend the use of a unique form of magnesium called Pure Magnesium Oil Spray. This form of magnesium gets absorbed transdermally, through the skin into bloodstream avoiding the gastric route which can cause diarrhoea when magnesium is taken by way of some of the semi-synthetic supplements available on the market. For those who prefer a tablet, I would recommend DynoMins Magnesium by Nature’s Plus, take one tablet daily. This supplement provides magnesium in its most natural state, often termed ‘food state’, ensuring maximum absorption and hence utilization by the body. Polyphenols are a group of potent antioxidant compounds that are normally found in plants and berries. Many of the foods we consume contain polyphenols and examples include olive oil, black tea, green tea, grapes and organic dark chocolate. Resveratrol is a polyphenol derived from berries, which is now being extensively studied to determine how it fights ageing and prolongs lifespan. Resveratrol penetrates the centre of the cell’s nucleus where it not only helps protect the DNA from free radical damage but it also stimulates energy production within the cells. Reduced cellular energy production is associated with decreased longevity. It is for these reasons that I recommend the use of Resveratrol with Pterostilbene by Life Extension. Many experts believed that vitamin B-12 deficiency was solely associated with vegetarians since plant sources have virtually no vitamin B-12. This belief was incorrect because vitamin B-12 deficiency is actually widespread and the older you get, the more likely you are to be deficient. There are two reasons for this: firstly, the digestive system ages with you and hence it becomes difficult to absorb all nutrients as we age, and that includes vitamin B-12. However, the main causal factor for this deficiency is the loss of the ability of the stomach to produce a protein called intrinsic factor which binds with vitamin B-12 and allows its absorption in the intestine. Vitamin B12 is required for many vital functions including energy production, blood formation, DNA synthesis and protecting the nervous system. Most people over the age of 50 are deficient in vitamin B12 and I believe that you should take this vital nutrient immediately by way of a sublingual spray such as B12 Boost – Pure Energy Spray by Better You which will improve the quality of your life as well as possibly prevent life-threatening diseases. Turmeric has been used traditionally to treat a variety of ailments including arthritis, digestive disorders and infections. The active ingredients in turmeric are called curcuminoids and they have powerful anti-inflammatory properties. As mentioned earlier in this article, inflammation is one of the causal factors for telomere shortening and this is one of the theories of age-related diseases involving cell mutation and heart disease. Turmeric actually affects over a 100 different pathways associated with cell mutation so it’s importance for longevity cannot be underestimated. When turmeric is eaten in curries or in its raw state, it is changed by our digestive juices and very little actually gets into the bloodstream. It is for this reason that you need a supplement and the supplement that I recommend is Super Bio-Curcumin by Life Extension which absorbs seven times more effectively than conventional turmeric supplements. Not only does Super Bio-Curcumin provide far greater peak blood levels, but the curcumin remains in the bloodstream almost twice as long as conventional supplements. Several studies indicate that people with higher vitamin D levels were found to have fewer age-related changes in their DNA. Once thought only to maintain healthy calcium and phosphorus levels in the body required for bone production, recent studies indicate that vitamin D deficiency may be linked to a variety of chronic health concerns including compromised immune function, diabetes, depression and even cell mutation. Scientists have discovered that Vitamin D3 is a potent inhibitor of the inflammatory response which can exacerbate the ageing process. In essence, it protects the body from the deterioration of ageing. The supplement of choice to ensure healthy vitamin D3 levels in the body is one that is used sublingually avoiding the gastric route which can compromise the levels achieved of vitamin D3 in the bloodstream. I recommend D Lux 1000 Spray from Spring to Autumn and D Lux 3000 Spray from Autumn through to Spring when our bodies have little chance of sun exposure. Whilst a nutritious diet and the supplements mentioned above may confer great benefits, one cannot ignore the impact of lifestyle strategies which help to prevent telomere shortening and hence protect us against premature ageing and age-related diseases. These include exercise and calorie reduction. There is a direct correlation between high intensity exercise and reduced telomere shortening and this all-natural approach will help to slow down the ageing process. High intensity exercises that may be of great benefit include sprinting at the maximum effort for 20 to 30 seconds, resting for a couple of minutes and then repeating this ten times. This type of exercise has the benefit of enhancing the production of Human Growth Hormone (HGH). There is a direct correlation between low HGH levels and increased fat deposition, decreased muscle mass, decreased energy levels, decreased immune function and declining hormone levels. Calorie reduction extends lifespan and this remains a fact. Increased calories result in increased free radicals and toxins which age the body. What has to be achieved is calorie reduction without nutritional deficiencies and ensuring that the calorie reduction is geared toward carbohydrate reduction. Research shows that reducing carbohydrate intake activates the genes for longevity.